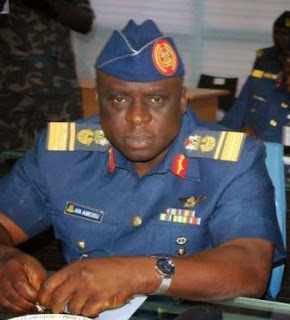 The Chief of Air Staff, Air Marshal Olusola Amosu, on Thursday asked the federal government to make provisions in its budget for additional modern technological equipment, if the Nigerian Air Force is to continue to make significant impact in its counter-terrorism efforts. Air Marshal Amosu told journalists in Abuja that the Air Force must embark on persistent surveillance and strikes. The Chief of Air Staff also said Nigeria can continue to count on the readiness and capability of the force in tackling the challenges in the North East. The Air Chief had in February noted that the Nigeria Air Force will be stepping up its air strike on insurgents in the north eastern part of Nigeria following the acquisition of new equipment and weapons. He made this known in Lagos, while speaking during the testing and calibration of newly-acquired equipment.